Even in 2016, if you want a pickup truck in India, your options are fairly limited. While the Xenon is a fairly interesting product, it has begun showing its age. You also have Isuzu but the small sales and service network is a major hindrance. And then you have the Scorpio Getaway, which is based on the previous generation Scorpio! The pickup version of the Scorpio is set to be updated soon and boy we have waited a long time for this one. 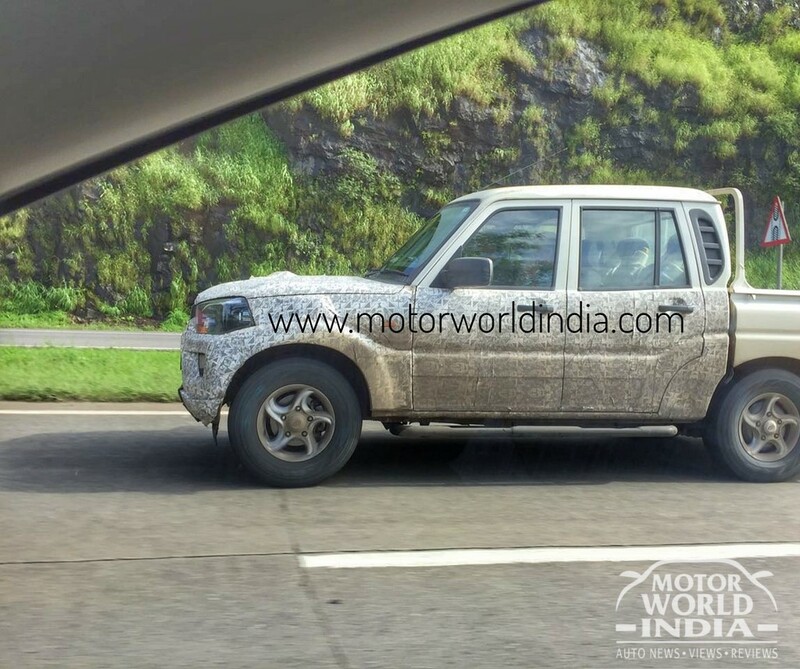 MotorWorldIndia has posted spy pictures of the upcoming product, which is also set to get a new name. 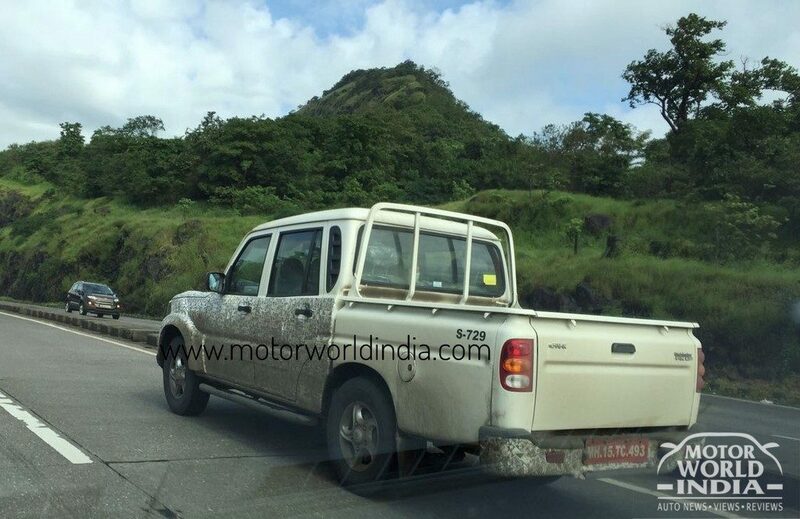 Yes, the images reveal that it will be called as Mahindra Pick-up. The underpinnings are to be borrowed from the Scorpio SUV which will make it lighter and stronger. The front section sports the same look as the present generation of the SUV. the projector headlamps, LED daytime running lights, new bumper and grille are present. The twin cab layout will be another benefit. Interiors will be updated with the layout seen in the present-gen Scorpio. Powering the Mahindra Scorpio Pickup is the same 2.2-litre mHawk mill which churns out 120 bhp of maximum power and 280 Nm of peak torque. Mated to this will be a 5-speed manual gearbox. The present Scorpio Getaway is powered by the older 2.6-litre CRDe mill. The output of which stands at 107 bhp of power and 277 Nm of torque. We also expect the Scorpio Getaway update to be available both in two-wheel drive and 4×4 version.